As a teacher you hear many ideas. You travel to conferences and listen to speakers, engage in professional reading and workshops, and attend faculty meetings. Some of those new ideas are things you know won’t work in your situation or don’t apply to you, others are things you are already doing, and then there are those that sound wonderful and you’d love to try but doubt will work. I’d like to encourage you to try. Do not be afraid of failure. When visiting schools and talking to students, this is a tip that I always share. It’s an attitude that is essential for writers. I do not know of an author who wasn’t rejected before being published. Failure is part of the journey leading to success. There are countless examples of this in life. It is important that we help our students understand this and encourage them to set high goals and work hard to attain their dreams. It is also important that we model this by trying new ideas, even if we’re afraid it might not work. Believe me, I’ve had my fair share of failures. But I’ve always learned from them. I remember laminating large-size construction paper in an attempt to create homemade white boards for my students to use during math class. I distributed cups of water and paper towels to use as erasers and had high hopes for a class where my students would be standing and sharing a variety of strategies when solving different problems. It was a disaster—and it was during one of my formal observations! I was distraught, but I was fortunate to have a principal who helped me recognize what was most important—I was trying, and because of that she knew I’d eventually make it work. Indeed my early failures ultimately helped me to create the math classroom I envisioned—just not with homemade white boards. You never know where a new idea will take you. I remember reading Carl Anderson’s book, How’s It Going? (a book I highly recommend). Essentially, Anderson shows us that the goal of the writing conference should be to help the writer, not the writing. And you help the writer by teaching him or her to think like a writer and use strategies that real writers use that will help the student forevermore, long after your conference. I bought into Anderson’s idea wholeheartedly, but how do you teach these strategies if you don’t know them? I didn’t know if I could do it, but I started writing more and paying attention to my writing so I could try to better help my students (my writers) during our conferences. And guess what? Not only was I able to help my students, but that writing was the early inspiration that started me on the path leading to my first Mr. Terupt novel. So be brave. Take one—just one—of those ideas you’ve heard about that you liked the sounds of but haven’t yet tried, and do it. Maybe you want to incorporate a rubric for the writing process (Teaching Tip #1 can help with that), or maybe you have a project you want to implement (Teaching Tip #3 can help with that), or maybe there is a new book you want to use with your students. Whatever it is, go for it. And do not be afraid of failure. To be fair, I’ve challenged myself to do the same. Though it scared me, I recently joined Twitter. And I’m happy to report, it has been going well. I’d love to hear from you if you find Mr. Terupt’s tips helpful or if you have additional thoughts or questions. You can email me at rbuyea@robbuyea.com. You can visit me at www.robbuyea.com. Look for tip #6 to be posted on Monday, December 7th. There are many areas of teaching that truly excite me. 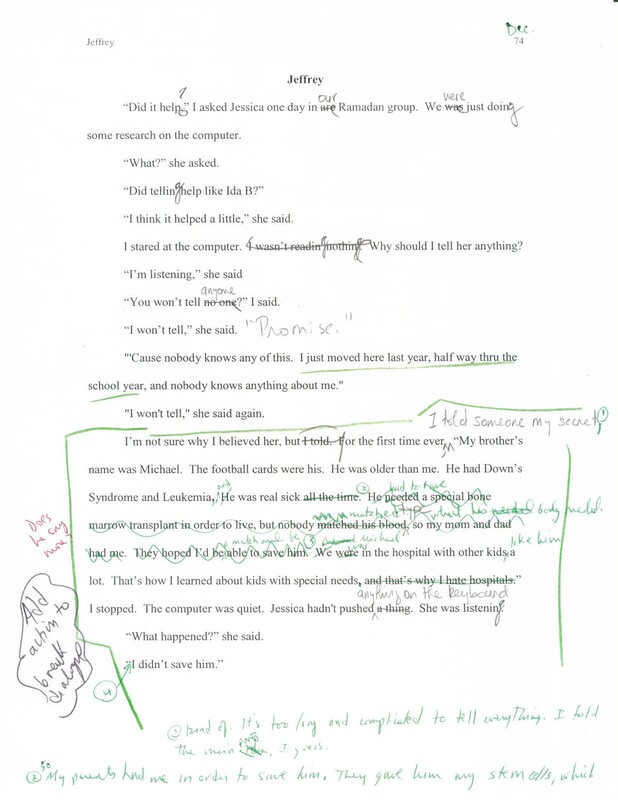 So far I have discussed writing, with an emphasis on revision, and reading—both obvious talking points for an author. This month I’d like to highlight another one of my favorites, and one of Mr. Terupt’s–and Luke’s!—specialties: Projects! Why turn a lesson into a project? It’s a great way to help get your students enthusiastic about a subject and shows everyone that learning can be fun. Not everything you teach needs to become a project-based activity, but most anything you teach can become one. Let’s consider one of my favorite math challenges—Dollar Words—as an example. (See p. 8 in Because of Mr. Terupt for an explanation of dollar words.) Rather than giving students only a few minutes to tackle this addicting problem, why not make it a project? Jazz things up by asking for a poster that not only displays dollar words but also includes a written explanation detailing all the strategies used and patterns discovered along the way that helped the student. These strategies might include data tables or scrambling letters in a word to find new words and patterns with certain prefixes and/or suffixes, etc. That’s great, but how can you possibly fit projects into your already over-packed curriculum? The biggest obstacle for every teacher always seems to be time. Here’s one approach that shouldn’t make projects a burden. Before doing anything with students, I like to tackle the selected problem myself first. While working on it I pay close attention to my thinking so I can do a better job of facilitating when my students engage in the work. This also gives me a chance to decide what I want to ask for in the project and to create a rubric for assessment purposes. When ready, dedicate one class period to introducing the problem and project to the whole group. (Note: This is the only class time that needs to be impacted.) Go over your guidelines and expectations and share an example of the final product. Another reason you should do the project beforehand is so that you can have an example to share, but after your first project, you can hang on to student work to share in the future. After introducing everything, get your students working so that you can make sure everyone understands the problem and is able to get started. At this point you will become a facilitator, moving about the room and checking in with different students and/or groups, asking thoughtful questions and responding to student questions, giving advice but not necessarily giving answers. Following this introduction and start period, your students can continue working at home or you can have project time for your class when time allows. You can also begin to let your students return to their project whenever they complete their regular class work. Often, we have our students who finish early turn to silent reading. While that’s always a good option, now you can also have them turn to their project work—another good choice. Don’t be surprised if allowing your students to work on projects builds excitement and motivates slower workers to get more done so they can join the fun!